Get to know the four main types of pollution present in the environment, and then look at a variety of real-world examples as you try to guess what type of pollution is represented by each situation. All of the real-world situations can be viewed every day in different parts of the world. Modified exploration guide. I'm not sure if it is better than the official student exploration guide. This activity gets kids thinking outside the box. 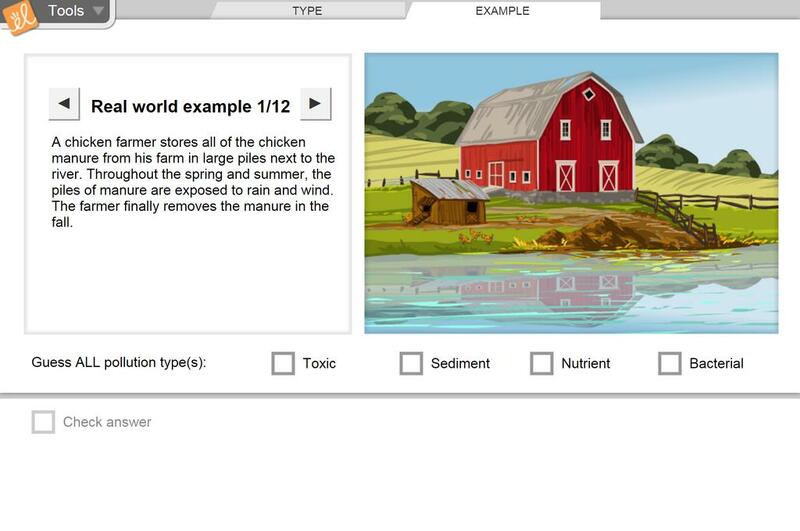 This lab gives great specifics about water pollution. It is very detailed about personal habits and responsibilities of individuals.